Next time you go grocery shopping in San Francisco, you won’t be hearing “paper or plastic” at the check out. As of this past March, San Francisco is officially the first city in the United States to ban plastic shopping bags in certain establishments. 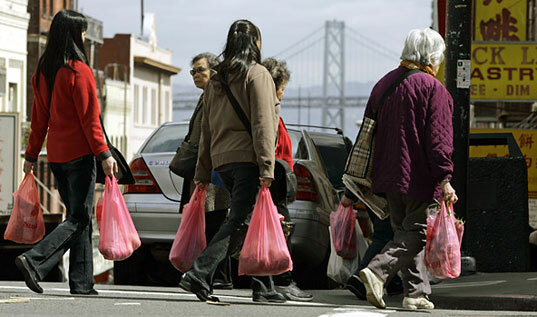 The city by the Bay’s Board of Supervisors approved the groundbreaking legislation that would officially ban plastic checkout bags supermarkets by September and pharmacies by early 2008. City officials are optimistic that other U.S. cities including Los Angeles and New York will follow suit. With approximately 180 million plastic bags being distributed to shoppers in San Francisco each year, the bags pose an environmental problem as they are difficult to recycle, and often wind up in trees or bodies of water, where they harm ecosystems and kill marine life… not to mention their growing presence in landfills. Under the new legislation, supermarkets and pharmacies will have to use either compostable bags made from corn starch, or recycled paper. The compostable bags would be easily recyclable through the city’s green garbage bin program. The bag ban also represents one of many environmentally-minded measures currently being pushed in San Francisco, including the proposed outlaw of Styrofoam food containers. So I am old enough to remember when it was all Paper bags. Plastic was the new alternative to cutting down trees. Now Plastic is the new Paper. How about the hippies get together and figure out which is the most environmentally sound alternative and just let us know. Since this movement is starting in San Francisco then we should be in good hands. Besides, paper bags can be used as rolling paper. Hooray, now my parents can drive the car to and from the supermarkets, since they can't carry nearly as much stuff with paper or cloth bags. The could take mass transit and walkbefore , but now they need to drive into congested areas. Way to go, "green" smartasses. Wow! I just ran into this site,check http://www.autocarts.net for a device that gets rid of the need for plastic or paper bags while shopping. This is a real solution to a massive environmental issue. Yahoo for San Fran! It's good the cities in California are taking the lead and making some strong environmental steps. Hopefully the rest of the country will quickly follow suit. I even use my Enviroxax totes to wrap presents in. The wrapping (tote) is then used to carry the presents home and either returned to me or used by the recepient as their own reusable tote. I love how the idea spreads like wildfire when others see the use in action. I think all cities should follow suit. I have been using reusable Envirosax tote bags for the past few months, and they are stylish, convenient, and best of all - ecofriendly and REUSABLE. I feel good knowing I'll helping the earth, and at just $35 for a pouch with 5 tote bags in it, I think it's a small price for me to pay to know that down the road I'm saving my kids from having tons of plastic bags dumped in their front yards - even if they would cost $100 it would still be worth it - time to make changes - we're the generation who has to push for change! I would like to add a correction to this article. The new law stiplates that three types of bags can be used paper, compostable/biodegradable, and/or "reusable". Reusable being defined as a high quality bag designed for "reuse", The bag can be canvas, poly prop or polyethylene as long as it is 2.25mil or heavier. All plastic has not been ban, just plastics under 2.25mil at the check stand (better known as Front End to Grocers). Basically, no more tee-shirt bags. 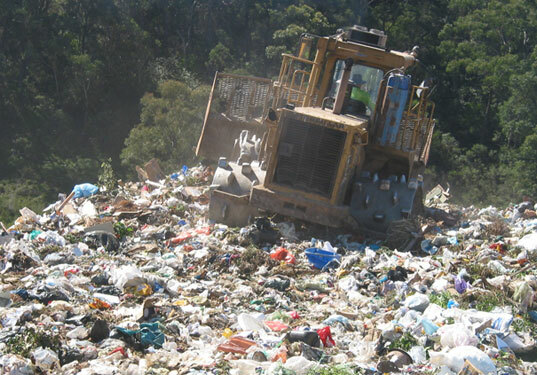 Many articles are focusing on paper and bio/compostable and not addressing reusable. Reusing will lead to reduction. The first two teirs of the recycling chain. Reuable is a great option. Don't forget about it. Most of the mature sea turtles who are rehabed in the Corpus Christi, Texas area have had either a plastic bag or other type of plastic stuck in their gut. When you walk down the beach, almost every older plastic bottle and plastic bag that washes up have turtle bites in them. Yeah for the ban on plastic bags!!! That type of action needs to happen on the Texas coasts. hoooooray for san francisco......although the picture tells the true tale. anyone who has ever ridden the 30 bus through chinatown knows that the small shops not held accountable under this legislation are as big of culprits as the supermarkets/pharmacies. how do we get this to go city wide, regardless of business type? alas, the pink bag liveth on. I do fear government control. I never like it when they step in and force their laws. Sure this is a win for "Green" but will the next law be? Just one more step towards not being reliant on foreign oil. no doubting that paper and corn starch bags will be less of a hazard to animals and will decompose quickly and easily, but it still takes quite a lot of energy to manufacture the things. far better to take your own (cloth) bags. Love it! I hope others follow in their steps right away! This takes more sense than hong kong law.. They want to replace the plastic bags for a compostable bags. So we can use them for a rubish can.